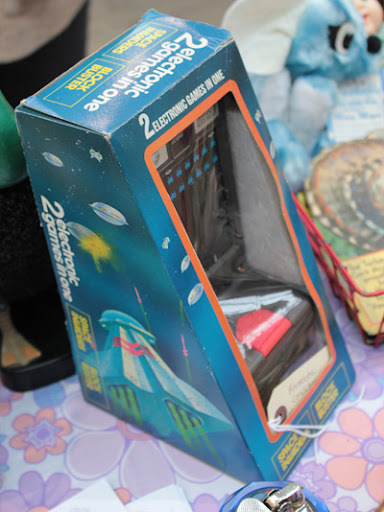 This was my first 'Find of the Fair' and I could believe it when I saw it. I have been looking for a Polatronic flash at a reasonable price for months and months, always just missing out on eBay bids. My heart pounded when I saw it, and I grabbed it off the table, before anyone else saw it - I asked Matt how much it was, and already had my wallet in my hand by the time he'd said £10. A great price for a beautiful piece of design. Matt and his wife, then went on to try and feed my camera addiction further, but I stayed strong (at least for a few more hours). The 1960s and '70s were golden decades for design. Things went a little awry in the 1980s - but some things managed to filter through to the beautiful Ericofon. 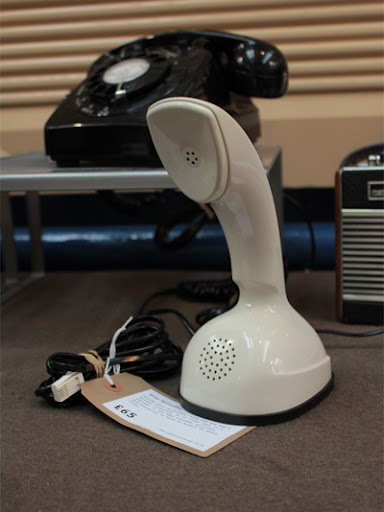 The resulting design was something that looks halfway between a Tannoy microphone and a Trimphone. Another great price for a piece of working design history. I love looking at vintage children's book illustrations, and this book leapt off the table at me. I recognised the name Evaline Ness as one of the illustrators I follow on Twitter had recently mentioned how she had influenced their style. 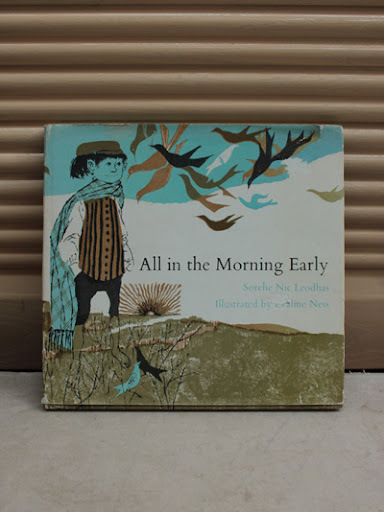 The book was first published by The Bodley Head Ltd in 1965, and the illustrations are still fresh and charming. Another Find that ended up going home with me. 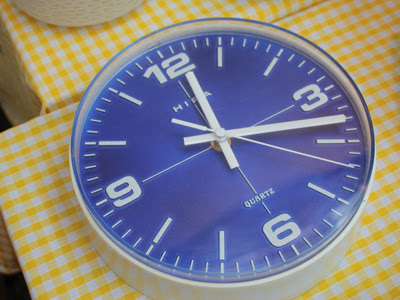 I have been looking for a clock to go in our kitchen for months, and as soon as I saw the second hand's constant sweep I had to get it. It's now hanging on the wall and keeping perfect time, as I cook my chicken and tarragon pie. I love photography and cameras, and for me there are few more exciting things in life than flicking through a set of old photographs. It's like looking at other people's memories. The process of photography is still like magic to me, especially when you consider the first photograph was developed in 1822. 'Yours sincerely, Cissie and Arthur', now living at my house. 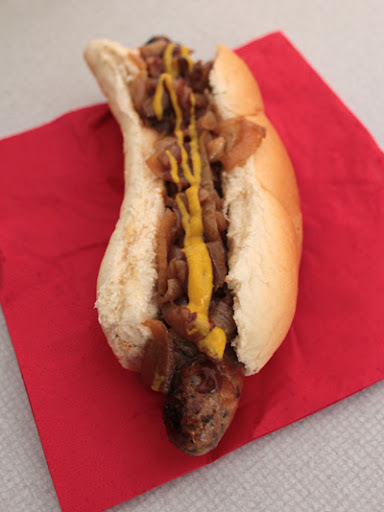 An absolutely perfect Bratwurst, with onions and ketchup (image shown was @Side_Show_Rob 's, with mustard). Gave me the strength to carry on with the second half of the fair. By peculiar good fortune - and as the result of a timely encounter on Twitter only a day or two beforehand - we somehow managed to secure the services of a proper top quality, high-flying digital design bod as our Finder of the Fair for January! 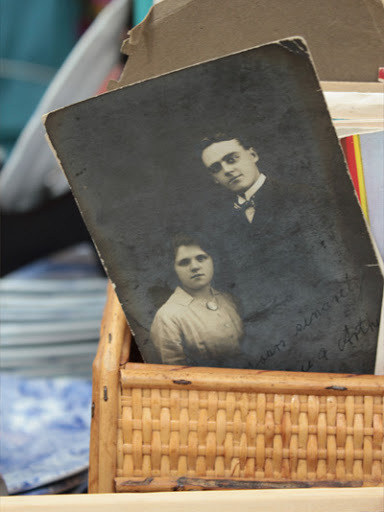 This is one set of Finds that you simply can't miss, because, as you will see below, our Finder has fulfilled his mission with incomparable taste, discrimination and an unerring eye for a vintage Piece, with a capital P.
Plus he brought his wallet and carried home approximately half of what you see here. I'll not blather on any longer but simply let the man introduce himself. Please meet . . . I am an award winning freelance digital designer, working in the Manchester / North West area. With ten years industry experience, working on websites, banner advertising, email marketing, touchscreen applications, branding projects and conceptual design. I love design, art, photography, illustration - and try to keep myself busy with as many creative endeavours as possible. I am also a West Country boy, ex-painter, car boot obsessive, camera hoarder, and boules champion, but please don’t hold that against me. [Editor again] As might be expected, this young man is all over the internet! 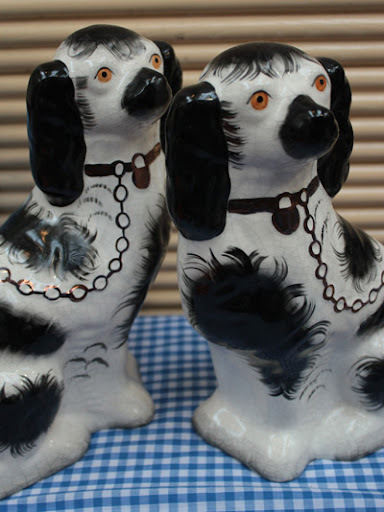 I had to put these in my 'Finds of the Fair' as we had one of a matching pair at my parents' house. Growing up, I was always reminded of the story of my Uncle Ken breaking one of them! Alice later found me and told me that the dogs had been sold off to a new home (I hope they are house-trained). 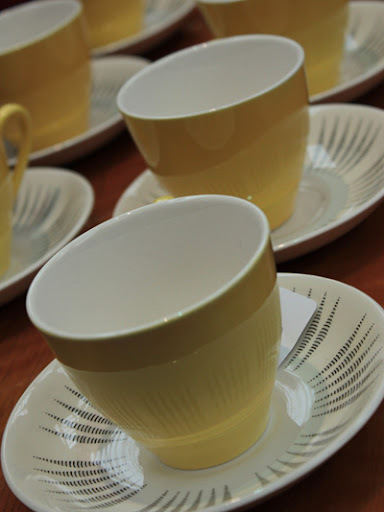 This lovely 1950s tea set included eight cups and saucers, a sugar bowl, jug and what we all deduced to be a bowl to put your teabag in. If I hadn't recently bought a set for my wife, I'd have snapped them up. Second-hand books, book covers and illustrations alway catch my eye, and this one did just that. 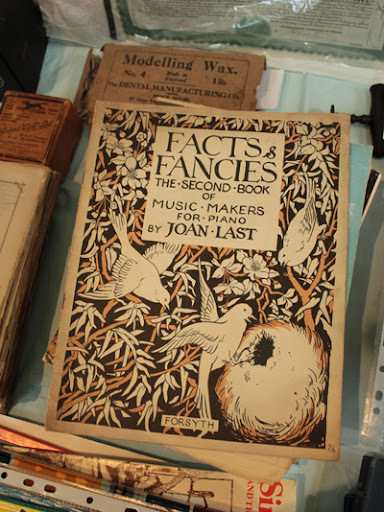 I have recently been buying sheet music booklets to put into frames; they are a cheap alternative to buying prints, and look great. This one reminded me of a William Morris print in subject matter and style, with the birds, leaves and two muted colours. Find number seven, Purchase number four. My vast collection also includes plenty of early computer game consoles, including my original Pac Man miniature arcade machine. I had to use all my restraint to not succumb to Kristy's calls - like a siren from the sea - beckoning me to the rocks of retro goodness! 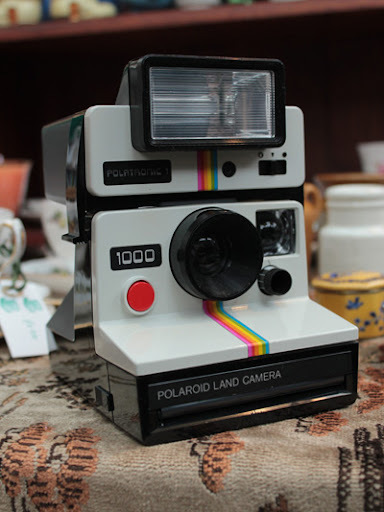 I really hope it finds a good home at the next Vintage Village Fair.